minutes but goalkeeper Ellie Roebuck was on hand to deny her. 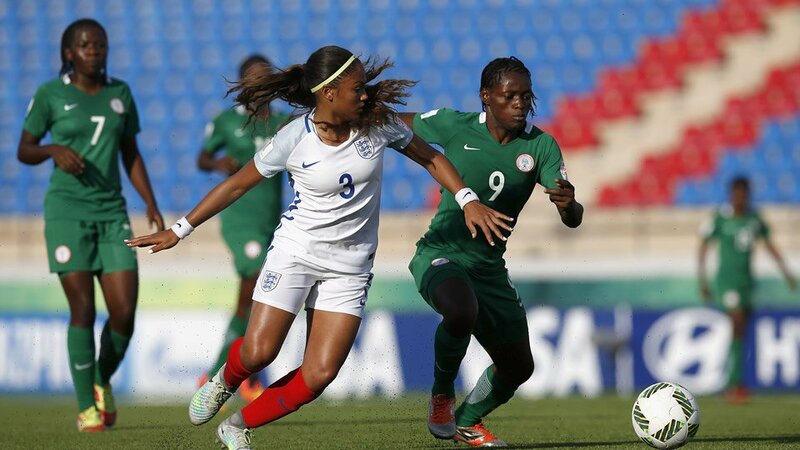 inside the area, but her effort was blocked and cleared by Abidemi Ibe. England shot-stopper held on to the tricky bouncing ball. deflected out for a corner kick by Hollie Olding. the near post cleared by Connie Scofield.